1. Remove Games from Windows 7. This can be handled via PkgMgr.exe. The command lines for this include the following. Note that these package names are case sensitive. See this page for more info. 4. Remove Windows Media Center. This can be done two ways depending on needs. One removes it…the other simply doesn’t allow it to be executed. Set three registry keys. This does more than just the “first use” stuff. This script was written using info from a blog post by Chris Nackers. 6. Configure NIC settings such as disabling QoS or IPv6. Use nvspbind.exe. 7. 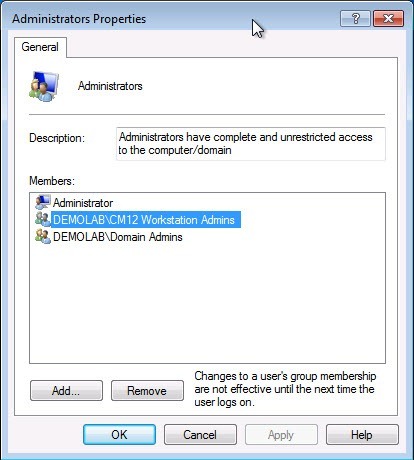 Add an AD Group to the local administrator group. 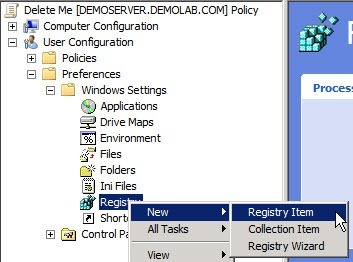 Do this with Group Policy. 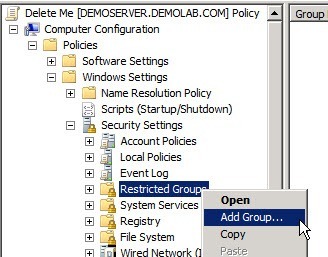 A long time back the only option was to overwrite the admin group with Group Policy. 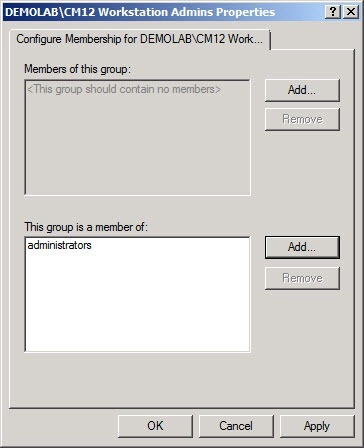 This was changed (a LONG time ago) to allow for either the overwriting or the appending to a group. Follow the screenshots below to see how…should be self explanatory. The last screenshot is an example of what this should produce on a system with this policy. 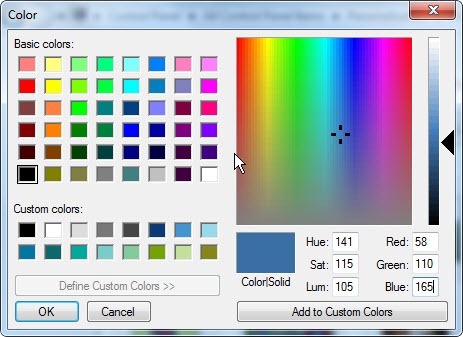 Third, set the numbers in the “Value data” field to the RGB numbers of the color you wish. To obtain the RGB numbers, open up any color dialog (font color for example), then choose custom which should open up something that looks like the screenshot below. Choose the Red/Green/Blue numbers from the bottom right corner. 9. Set a Windows 7 theme as the default theme upon startup after installation. Modify either the oobeSystem or Specialize pass of the unattend.xml file to include the following lines. More info can be found here. Change “aero.theme” to whichever them you wish. 10. Internet Explorer – get rid of the first run wizard. Use the Internet Explorer Administration Kit to create a customization file. 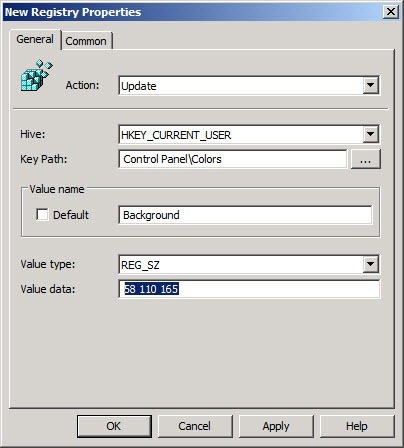 IEAK can be used to either re-package IE (create an MSI that you can deploy) or to create a customization file that you can apply to an existing IE installation. I’m keeping this post handy for future reference.